came as requested. Is great, very happy. Very Nice product I had an issue with a different item and the Customer Service was excellent. Recommend this site to ALL. The watch was purchased as a gift. The recipient was very pleased and said it was beautiful. A great value! They are just what Iwas looking for. Good quality. Good looking. Will be great with my victorian outfit. I love this! I actually used it for my daughters 3 year old photo session. It fit her perfectly and stayed on her head nicely thanks to the head band. The feathers add a nice element. I love the look of it and it photographs nicely. This unique item has been put into my studio props and I look forward to getting alot of use out if it. This is an adorable parasol on the smaller side. It took me awhile to find a black one like this and was exactly what I wanted, although a little pricey. The only reason I gave it 4 stars is that the feathers tend to "shed" (for lack of a better word) and get all over the place. I suppose that would be the case with anything that has feathers (think feather boa's, they aren't exactly tidy right? lol). Perhaps as I use it more as a studio prop the "shedding" will stop. It photograph's nicely and will be used as one of my studio props. We ordered this vest for the father of the groom for a steampunk wedding. It was delivered in a timely manner and is made of good quality material. The only issue we found is that it gaps a little at the armholes. Too bad it doesn't come in a merlot color, that is the color of the bridesmaids dresses. Also too bad we couldn't buy the pattern to make merlot vests for the groomsmen! Overall, we are very pleased. Thank you. These looked perfect at the edwardian Ball. Bought this for my son and he loves it. Thanks! Great product, love the quality and fit. Perfect for that period feeling. Well made and priced. Shipping was fast. The cane itself is nicely detailed, however the length of the cane means you will have to cut it down based on your height and the tip will not be able to be simply refitted. You can slip on a standard rubber cane tip. Handle is very comfortable in the hand and is truly beautiful. Would gladly buy it again. A bit to get used to,weight wise. But all in all a nice piece to practice with. Nice boot. And great detail in design. But a bit hard to see being all the same color. Hate to cover up the top of the boot with pants. stuff pants inside the boot they look less like a leather boot and more like a rubber boot. Nice spur ledge on back though. I was very happy with the quality and fit of these pants. Great fit and very well made. Only adjustment was in the length. The fit of this shirt was perfect. I am 6' 1" and always have issues with the sleeve length, but I was amazed that this shirt fitted perfectly. The style is exactly like you have stepped back to the 1800's. These braces complete my outfit. Quality and style, 10/10. Service was excellent. 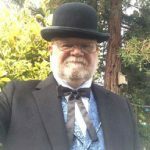 I conduct Historical Lantern Tours and have been looking for an authentic frock coat for months. Very happy that I found this site. This 'Callahan frock Coat' fits my requirements perfectly. The fabric, style, quality and fit are amazing. This would be one of the best purchases I have ever made. Amazing delivery service to Australia - Items were packed in plastic and arrived in perfect condition. This elegant vest was exactly what I was looking for. Fabric, style, quality and fit were perfect. Delivery to Australia was amazing. Thank you, I plan to purchase again from Historical Emporium. Exceptional quality. Far exceeded my expectations. Rave reviews from everyone who looked at the workmanship. I was surprised to see the quality of this item based on the price. They say you get what you pay for. This particular item is worth much more than what it is sold for. Well done, in a time when things seem to be costing more and the quality of items are in a nose dive. I have tried to find this kind of ascot in numerous mens clothing stores in Canada to no avail. Then voila, Historical Emporium comes on my radar and within 10 days I have a number of them. The quality of the ascots is matched only by the customer service I have received on a number of orders now. Simply the "best". Bought this vest to go with my wedding tux. I was hoping the quality would be up to par with my expectations, but it was far more than what I expected! This vest is the finest quality and I can't wait to wear it on my wedding day! This is a useful and functional vest, used for work (as well as style) in a 3D printing and design shop. I recommend it for steamly punkishness as well as solid construction, victorian elegance, and practical pocketability. Better than I had expected for the price. Don't waste your time looking elsewhere, like I did. Caution: Double check your measurements, and the size chart. Mine fit like a custom made. This is a wonderful watch. I have been carrying original watches and over time some parts wear out and need to be replaced. Some of these are very difficult to find. I now have 4 original watches to repair. This is a fine truly mechanical watch which is very attractive. My only complaint is that the case is a bit tinny. However I was still very happy to buy a mechanical watch for under $100.00, so it is still more wonderful than I could have hoped. This watch is a finer watch than any 4 or 5 digit priced quartz movement. It is unfortunate this item is not returnable, since knowing what size works best is not known until an individual has the opportunity to try on the garment. Beautiful. Well made. Much better constuction than I expected. Was shipped very quickly. Very good quality and fit. I bought this to wear to a wedding and I hope that my vest doesn't upstage the groom's! I will definitely do some more shopping at Historical Emporium! I received my order faster than expected-thank you! The fit and finish is spot on-nicely made and fits just right(might need a tidy up inside the button holes,but no worry). I shall recommend Historical Emporium to any whom shall ask where I got such a nice vest. As I pulled the plastic bag off of this coat I was immediately impressed by its handsome shape and its finely tailored lines. The fit across the shoulders and the length of the sleeves are perfect. I will enjoy wearing this coat because it looks so sharp and it has just the right period look I needed. This vest is well-crafted and really looks sharp under my black victorian Cutaway Coat. It will also look great when worn as "Santa casual" with black trousers and an open-collared white shirt. Arrived quickly. Im smaller than a medium (38" chest) but the medium fit perfectly for me. The top is slightly see through but as far as i can tell the bottoms are not. It is elastic waist justt as fyi. I recieved the Brigade vest in Black only a few days after ordering it. It fit as if it were taylor made. I did have to restitch the buttons because they were very loose,however it fit very well. I have been very pleased with my order and would recomend this vest to anyone. My mother was extremely impressed with the locket's antique styling. Great quality for price. Excellent buy! I try to wear these authentic Swiss Military "gaiters" at least once a week and whenever I venture into the outback with my Airedale Terrier. They are just the ticket to keep the burrs from off my socks. When you don't want to change over to those heavy hightop boots These are the perfect solution. I ordered this vest to be part of my wedding outfit. It's lovely, the fit is great, and the photos don't do the colours and texture justice. My only complaints would be that the photos aren't 100% accurate tot he final look, and one of the buttons came apart (the cloth topper came off) as soon as I took the vest out of the protective bag. It was an easy fix, but somewhat dismaying. This is a really striking piece for a really great price. ...and, as stated in your description It Is JUST the RIGHT Height for those "not so formal occaisons where a TopHat may be called for but not required". I wear it on every third day walking my Airedale Terrier. The perfect size , not to be knocked off as I enter the carriage (F-150) or as we search for "critters" in the woods. I Love It! A Perfect Fit. It keeps my head warm while I watch TV or SurftheWeb. The perfect headcovering for indoors in winter or at the Bazaar. I absolutely love this item. It's beautifully crafted, fits like a dream and looks completely wonderful. The shipping was faster than I anticipated and I can't wait to use this when the ice and snow melt and I can get out on my horses again. Thanks so much. Excellent craftsmanship, I could not be more satisfied. Very good quality product, was exactly as specified. The fit and appearance are very good. Fits the western theme perfectly. This item should last a lifetime, and will be handed down to the family members. Great service, great shipping, product looks like it does in the photos. The 'New Bankers Vest' I purchased was everything I hoped for. The fit was perfect! I look forward to getting more merchandise in the future. I would highly recomment the site to anyone who might be looking for quality vintage clothing. I was very pleased with the quality of the merchandise and the speed of delivery. The website was very helpful in allowing me to shop and look at the merchandise to make my selections. Was an excellent product and price. If I have someone who is difficult to buy for, I always come to the Emporiums for that special gift that makes them go WOW!. I always find something cool and unique on these websites, It's my favorite place to shop! I am a living historian 1912 one room schoolhouse teacher and am extremely pleased with the comfortable fit, authentic appearance, and quality of the material used for the Georgiana white blouse and black cotton twill walking skirt. I am 5 feet 7 inches tall and I did not need to alter the length or waist of the large size skirt. The waist band is adjustable as it has 2 buttons on a attached band of material. Customer service promptly shipped correct size. I have not received UPS return shipping label and I would to return the the the vest that was the wrong size. The size issue was my fault. I am very happy with my experience and will order again. Thank you. I ordered something that was out of stock. A representative from the company contacted me first thing on the following business day. The problem was resolved and the order shipped within a very timely manner. I would definitely order from this company again. The rules-y return policy is a deal breaker. With so many internet companies out there, you have to provide a flat-rate return label and not have such a short time deadline for returns, in order to compete. lovely shirts,they fit a treat ! .Basially I brought the scullys because i already have one,and guessed (correctly)that if it fitted me that these would fit ! .Would recommrnd them and you to anybody ! My son did a search and found exactly the coat he was looking for on your site. You customer service folks are the very best. How lucky you are! I could not believe how fast I received my items. I will be happy to recommend your company. Outstanding service and I will recommend The Emporium to a friend any day of the week. The service is wonderful, the postage is extremely quick and the quality of products is extremely above average. Thank you guys for a pleasurable purchasing experience on the internet. I have never been able to find such unique products as this site. It's a great way to get gifts for those who have a creative and timeless taste! Costume was really well constructed and will last. Perfect for our production of Maurice. The items I purchased were first class products and will be very pleased to wear them. I am already looking to the future to add to my wardrobe. I've ordered a couple items from this website, and I have had great experiences! Service was excellent and the vests were great. I wear a vest everyday. I was not looking for anything real fancy, just something that I could wear daily. Out of everywhere I've ever shopped online, Historical Emporium is definitely among the absolute best in customer service. Love you guys! Fast, affordable shipping, great selection, and attractive products. I had a very good ordering experience. When I emailed with a question, I got a near-immediate response. There was a problem with one of the items that I ordered. Historical Emporium quickly replaced the defective item without any hassle. Great customer service. I was very happy with this order, however there have been orders in the past that I have had problems with. On 2 other orders I requested a vest in 4X and when it came in it was too small and I couldn't wear it. I have ordered 4 vests in 4X with no problem all of them fit fine. I would love to have one of your silver or gray vest with the shaw collar but I have tried to order a 4X twice and both times I could not wear the vest. One of the snoods I bought from you unraveled as I took it out of the package. Other than that I'm quite satisfied with everything and will be ordering again in the near future. This online shop was the only place where I could find quality, authentically historical victorian boots. lovely made garments, and extremely fast postage! Really cool stuff, quick shipping. Wish there was a store like this near my house! Excellent speed of delivery and wonderful quality of product! Arrived in good time, excellent quality. You had exactly what I was looking for at a better price than I could find anywhere else (including Etsy). Quality of product less than expected, but sufficient. Excellent quality, beautiful gloves! Always pleased with my orders. Wonderful quality for the price, good fit, food looks. Nice hat. I was very pleased with the friendly and professional customer service. I ordered a vest on Wednesday and received it by Friday (in time for my brother's wedding). The vest is very well-made. I am very happy with my overall experience with Historical Emporium and will definitely order from them in the future. Very very satisfied with product quality and prompt delivery time. FANTASTIC quality and we received the first part of our order EXTREMELY quickly with the rest following shortly. Will return for further shopping expeditions!!! I am very pleased with my purchase and I will be making more orders in the future. Excellent quality, style, and service. The items I purchased were all very elegant. The service was second to none. Would recommend these products to my friends. The derby that I purchased arrived well packaged and I find it just what I was looking for. I was looking for something else which you do not carry and i was surprised that you do not carry white tie bow ties. I was pleased with my order and impressed with the quality of the garment. The speed of shipping was also impressive; the selection, quality and shipping all exceeded my expectations. all went well as usual. I highly recommend you folks to those who cast movies. The problem seems to be price for them, as your ell for fashion and they stock for back up and th enriches don't match. To me, that is THEIR problem. I already recommend a friend.Told him that i returned the purchase for one that i like better with no problem. Fantastic array of well made items! Very spiffy. Thanks! I really like your products but I am disappointed that you will not replace some items that have gone out of stock in some sizes. I needed a costume for Sherlock Holmes and your selection was the best I could find. quick service, great product, couldn't ask for more! Good price for what looked like and turned out to be a reasonably price well constructed garment. Excellent service, very fast shipping. Quality of the camisole and petticoat excellent, as is fit. Very pleased! !